With all the news in 2018 about the transition to electric vehicles it is not surprising that fuel cell companies should jump on the bandwagon. In January AFC Energy (AFC) announced a successful demonstration of what it claims is the world’s first electric vehicle (EV) charger based on a hydrogen fuel cell. 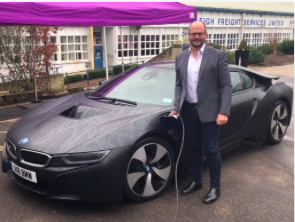 The unit, known as the CH2ARGETM, was used to charge a BMW i8 at Dunsford Aerodrome test track in Surrey, next door to its headquarters. The fuel cell converts hydrogen into direct current (DC) electricity which could be used to charge the EV’s battery directly. However EVs are made to accept alternating current (AC) from the electricity grid and to convert this to DC inside the EV, so CH2ARGE has to first turn its DC into AC before being fed to the EV, losing about 10 per cent of the power on the way. Nevertheless this may be a small price to pay. AFC points out that the conversion to EVs will place a big demand on the grid. “If one in 10 of these EVs are being recharged simultaneously, the UK’s future fleet of 36 million EVs would have a forecast peak demand surge of 25.7GW based on today’s average battery size; that’s almost 8 new nuclear power stations or 98 London Array offshore wind farms”. The needed investment in power generation and transmission and distribution networks is large. 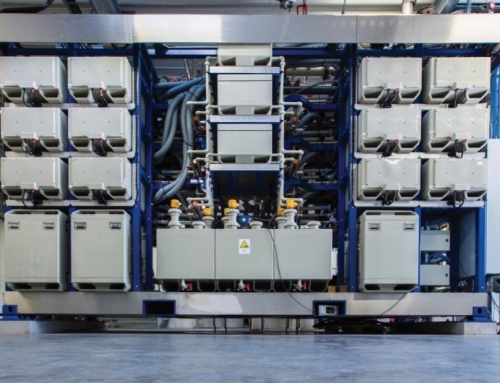 AFC argues that fuel cells can reduce this cost by generating the power locally, which is true but ignores the question of how the hydrogen is generated and distributed. 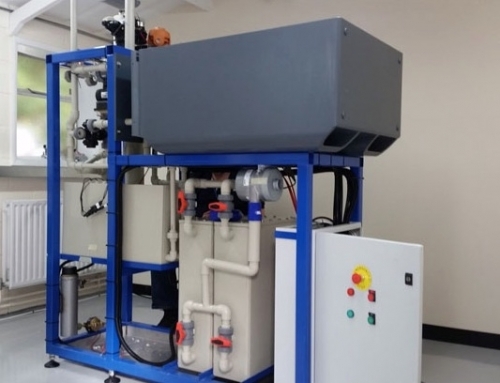 Projects exist to generate hydrogen locally from local waste (indeed Powerhouse Energy, who produce such a system, ordered a fuel cell from AFC in 2014 but the project appears not to have advanced). However these are unlikely to satisfy more than a fraction of the future demand. 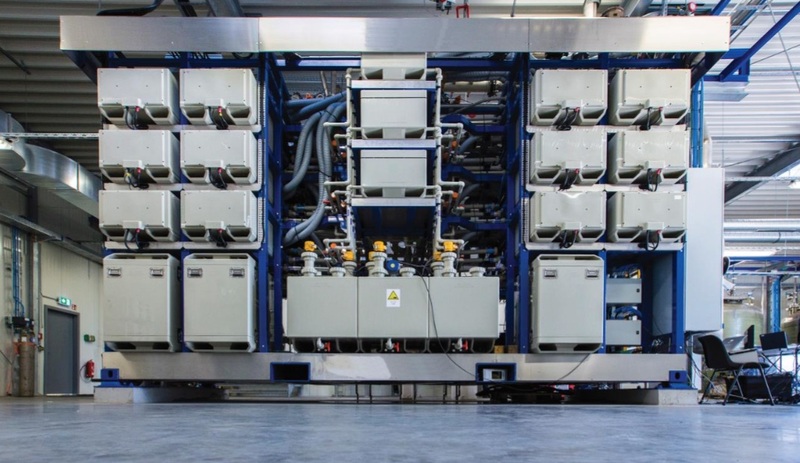 Currently the most likely scenario is that large-scale production of hydrogen will depend on converting natural gas in a few central plants that capture and store the carbon. This adds considerable cost. Hydrogen is currently distributed in bottles. This is also expensive and unlikely to be practical on a large scale. One solution may be provided if residential heating and the gas grid are converted to hydrogen. However it is far from certain that this option will be taken. CH2ARGE is an interesting addition to the mix of options for the electrification of transport, and will no doubt find some market. However large-scale adoption depends on major infrastructure and policy developments. So far AFC’s sole source of revenue has been EU grants. 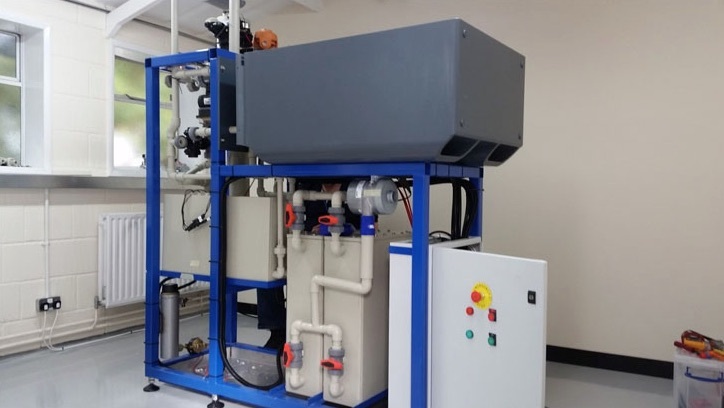 Currently the most likely prospect for the first commercial sale is Southern Oil’s Advanced Biofuels Pilot Plant in Gladstone, Queensland, which converts waste to synthetic fuels such as bio-kerosene and bio-diesel and also hydrogen. There has been some delay but AFC still hope to get a firm order for delivery in 2019. Meanwhile AFC continues to look for commercial opportunities and, above all, to work on improving the manufacturability of its product in partnership with other companies. It has been the same story each time we have reported in the last two years: moving closer to commercialisation but not yet there. In the last few years the share price has been slowly drifting down and now stands at 5.5 pence for a market capitalisation of £21 million. Annual results for 2018 are expected in March. Southern Oil has been looking into a novel method of producing hydrogen from methane. If the new method proves to be cheaper and more efficient than conventional steam reforming (mixing methane with steam) it could have a significant impact on the future of hydrogen use and associated networks.